What's the best mattress for a bad back? If you're one of the ten million people who suffer from episodes of back pain on an almost daily basis (The Norfolk Clinic), then you've probably already spent a fair amount of time — and money — looking for the best mattress for a bad back. 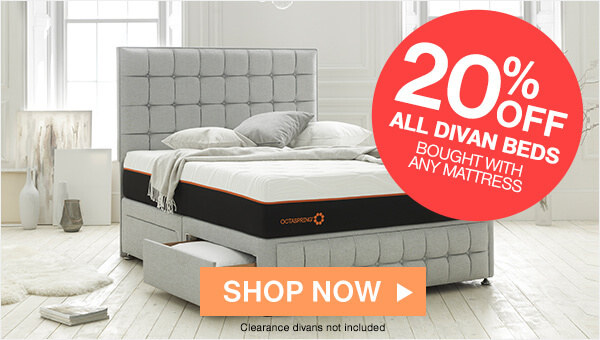 The right mattress can relieve or even alleviate your symptoms, and it will also help you to get a restful night's sleep, so it really is crucial that you find one that gives you the comfort and support you need each night. How can a mattress help back pain? How does a memory foam mattress help a bad back? How does the firmness of a mattress affect back pain? Can a memory foam mattress topper help to improve back pain? What's the best pillow for back pain? How do I know whether a mattress is right for me? It can be difficult to identify the exact cause of back pain. In most cases, there is no clear reason or underlying condition to blame: the NHS calls this 'non-specific' back pain. If you experience an ache or soreness in your back which comes and goes, and feels worse after long periods of sitting or standing in certain positions, then the chances are that you suffer from non-specific back pain. Symptoms are commonly felt in the lower back (a pain also called lumbago), but it's also not uncommon for pain to occur in the middle or upper back, too. A temporary injury, like a sprain or pulled muscle. Strain, usually caused by heavy lifting or improper lifting technique. Sitting or standing in uncomfortable positions, or in a chair without the correct back support. Poor posture when standing or sitting. Sleeping on a mattress that doesn’t provide the proper support, or interferes with the natural alignment of the spine. While non-specific back pain can be a real nuisance, the good news is that this type of pain tends to be temporary, and can often be relieved with the right treatment. If you suffer regularly from neck pain, then it’s more likely that your pillow is the root of the problem, not your mattress. To learn more about the right type of pillows for neck problems, see our section on pillows for back and neck pain. How can a mattress help with back pain? In many cases the right mattress can help to alleviate back pain. A good mattress will distribute your weight evenly, supporting the spine and allowing your muscles to fully relax, which in turn will help to relieve back pain and help you get a great night's sleep. If you suffer from chronic back pain, the wrong mattress can aggravate the problem. One that's too soft or too firm can cause the spine to move out of the correct alignment, meaning you wake up feeling sore. The discomfort can also make you toss and turn through the night, meaning you don’t get the sleep you need. As many back problems require adequate rest to heal properly, this can delay your recovery, triggering a repetitive cycle of sleeplessness and pain. A high-quality mattress that properly supports the spine and allows for good sleeping posture can help to break the cycle, restoring your sleeping pattern and helping you to feel comfortable, both at night and during the day. How can a memory foam mattress help with back pain? Originally developed by NASA scientists as a multipurpose material for astronauts, memory foam is a visco-elastic material which changes shape under heat and pressure. This allows it to mould to the contours of your body, then return to its original shape when not in use. A memory foam mattress doesn't use coiled springs: all the support is provided by the visco-elastic foam. This gives them an especially soft texture, which makes them ideal for back pain sufferers. 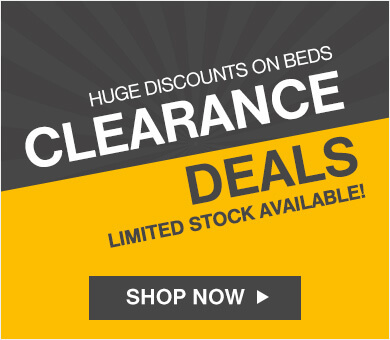 Our memory foam mattresses are also available in a huge choice of sizes, thicknesses and comfort levels, making it easy to find something that suits your needs. To learn more about the science behind our memory foam mattresses, including how their antibacterial properties can benefit sleepers with allergies, check out our guide to memory foam. Which is better for back pain: memory foam or sprung mattresses? Unlike traditional sprung mattresses, memory foam shapes itself to fit the contours of the body, rather than just the major pressure points like the hips, knees and neck. This reduces the pressure on these areas, and helps to keep the spine in a natural alignment. So, they can be very comfortable and effective for those with chronic back problems. On the other hand, traditional coiled mattresses do provide effective weight distribution, which can make them a good option for taller or heavier individuals. Pocket sprung mattresses are especially effective at this, because the individual springs can move independently, allowing them to better follow the contours of the body than traditional open coil styles. 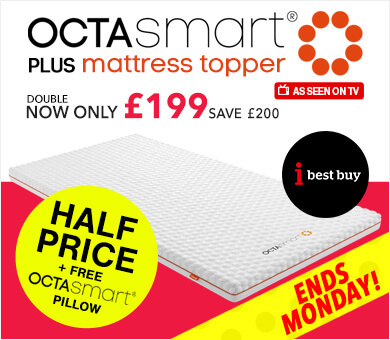 If you like the sound of both benefits, then a mattress which utilises both pocket springs and a layer of memory foam, like our hybrid mattresses and Octaspring hybrid mattresses, could be the best solution for you. When we talk about the firmness of a mattress, we’re generally referring to the level of tension in the springs or memory foam. This tension will dictate what level of resistance and support the mattress provides, which can affect our spinal alignment during sleep. In other words, if your mattress is too hard or soft, it won't support you the way it needs to, meaning a mattress with the wrong tension level for your preferred sleep posture could exacerbate your back pain. Traditionally, doctors and physical therapists have recommended a firmer mattress for those with back problems, but new evidence suggests that this may no longer be the best option. A recent study found that participants with back problems reported less pain after sleeping on a medium-firm mattress, rather than a firm one, according to WebMD. The level of tension you will need will also depend on your preferred sleeping position — you can find out which tension level is best for your natural sleeping posture in our mattress buying guide. You can check the Comfort Grade rating on each of our mattresses to see whether it's soft, medium, firm or somewhere in-between. Can a padded or memory foam topper help to improve back pain? A mattress topper is an additional layer of cushioning that can be used to increase the longevity and comfort of your existing mattress. They may be constructed from memory foam, latex, polyester or down filling. If you're suffering from regular episodes of back pain, but you're not sure you can afford a new mattress, then a mattress topper is a great way to add a layer of comfort and support on a budget. 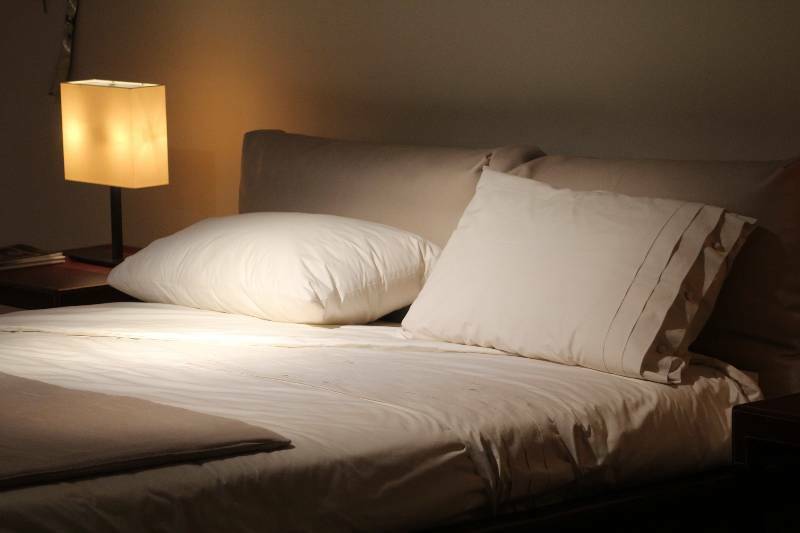 If you think you could benefit from the cradling support of memory foam, but you'd like to try it out before you invest in a full-size mattress, then a memory foam topper is a great way to see if it will suit you. It’s also a budget-friendly way to add a layer of memory foam to a traditional sprung mattress if you don't think you can afford a full-size version. When picking a mattress topper, you'll need to consider your preferred sleeping position. Back sleepers should be comfortable on a 3–5cm topper, while side sleepers will need a topper with a depth of at least 7cm in order to fully accommodate the hips and shoulders. What's the best pillow for back and neck pain? While a good mattress can go a long way towards relieving your back pain, you'll need to combine it with the right pillow to get the best results. This is especially important if you suffer from neck pain: if you wake up most days with a sore or stiff neck, then it’s likely because your current pillow doesn't provide the correct support, or forces your neck out of alignment with the spine. Proper alignment of the spine is key to maintaining neck health and function, so opt for a memory foam pillow, which will mould to fit the shape of your head and neck. This makes them a brilliant at relieving or preventing neck pain, because they provide comfortable support while keeping the neck in alignment with rest of the spine. Ultimately, the best mattress for a bad back will depend on your needs and symptoms. Everyone has a different sleeping style, so the right mattress for you is one which will support your individual sleeping posture. 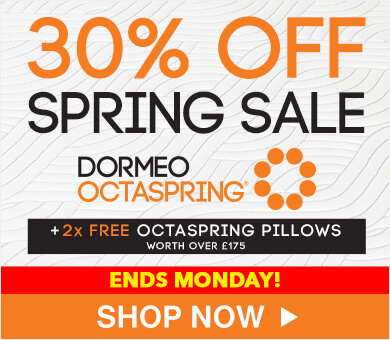 At Dormeo, we understand what a big decision choosing the right mattress can be, especially if you suffer from back pain. We know that a mattress may seem comfortable when you first try it out but, after a few days, you may realise that it’s not the right style for you. That's why we offer a 60 Night Comfort Guarantee, so you can be sure your mattress is the perfect model for you. 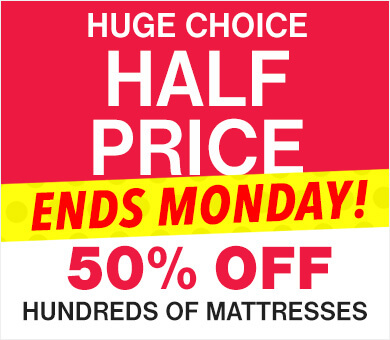 So, if you're still not enjoying your best-ever sleep after 60 nights, or your back pain isn't improving, then you can return your mattress for a full refund, or exchange it for an alternative model. 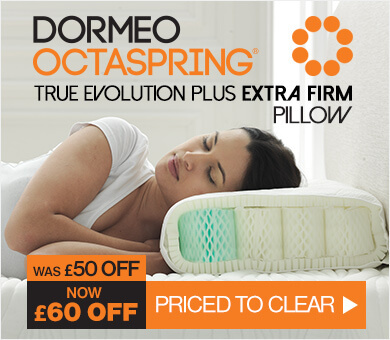 At Dormeo, we want you to order with confidence, so if you're still unsure about anything, then contact our team of Sleep Experts, who will be happy to help. Our sleep expert blog and advice centre are also great resources if you’re looking for more information on all things sleep.